Ecological organic organic liquid-shampoo gel that naturally takes care of your baby's skin and hair naturally and delicately. Its fantastic aroma, with soothing and sedative effects, make it indispensable for the bath time before sleep. Care cleanser for the delicate skin of the little ones. 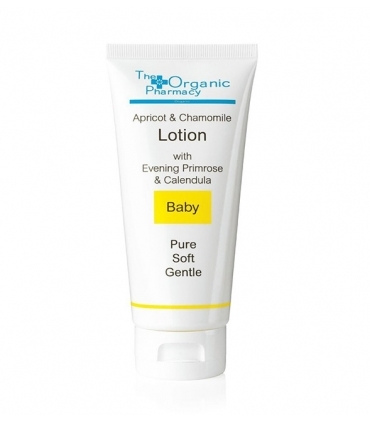 Rich in essential oils that act together to relieve, soothe and protect baby's skin. Cleans, disinfects and softens. It is suitable to help combat redness and chafing caused by clothing or diaper. It also leaves a fantastic aroma on the skin and its aromatherapeutic effects are a delight for the senses. Grapefruit essential oil: Antiseptic and disinfectant. Essential oil of Nerolí: Soothing and relaxing. Sedating effects induce sleep. It fights agitation and insomnia. Chamomile: Helps relieve insomnia and has multiple properties on skin conditions. Calms and fights eczema, psoriasis, small wounds, acne and dermatitis. It is anti-inflammatory and antiallergic. Silk, calm, has analgesic and antipruritic effects. Melisa: It has protective effects. Relax body and mind. Among its many benefits include: Relaxing muscle, soothing irritated skin and toning. Apply a small amount on the body and hair of the baby and massage gently until a fine, soft and delicate foam. Leave on for a few seconds and rinse with water not too hot. Avoid contact with eyes. Aqua, Decylglucoside, Sodium cocoamphoacetate, Xantham gum, Glycerin, Sodium chloride, Honey *, Citrus grandis fruit extract, Sodium benzoate, Potassium sorbate, Citric acid, Citrus aurantium amara flower extract * (Neroli), Chamamilla recutita flower extract *, Ascorbis acid , Melissa officinalis leaf extract *; Limonene **, Linalool **; (*): From certified organic farming; (**): typical of essences.